I have started to work on a making a photo book for my daughter. It is all about a day in her life as a two year old. A few weeks ago I recorded her entire day and happily snapped lots of photos and jotted down a few notes. I hope this turns out as cute as I envision it and I can get it done in a short amount of time. 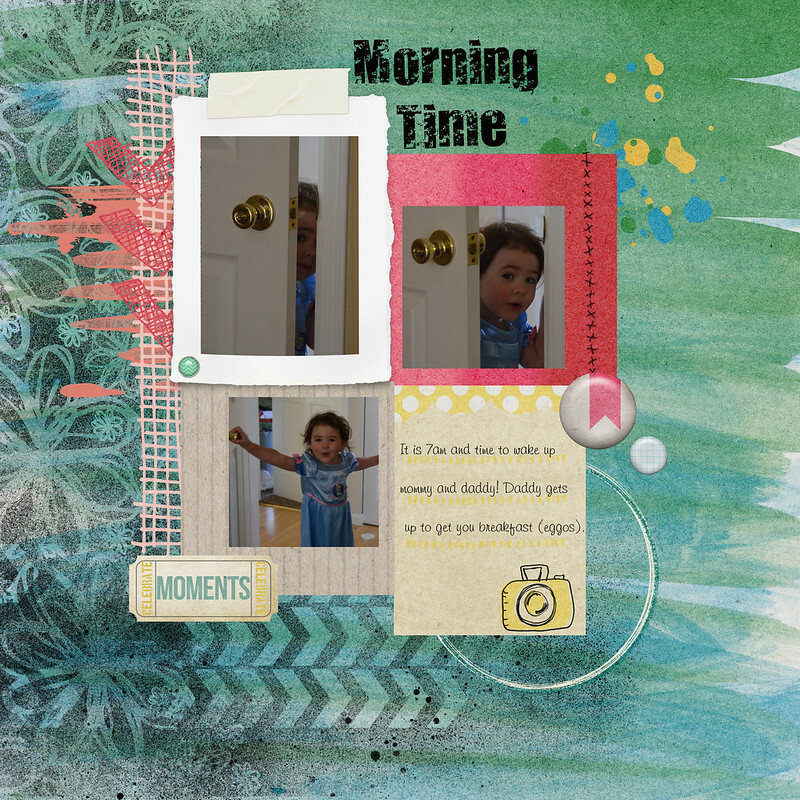 At least digital scrapbooking is faster for me, so I might actually get it all done soon. To help jump start this page, I used a sketch from Paper Lovers Studio.